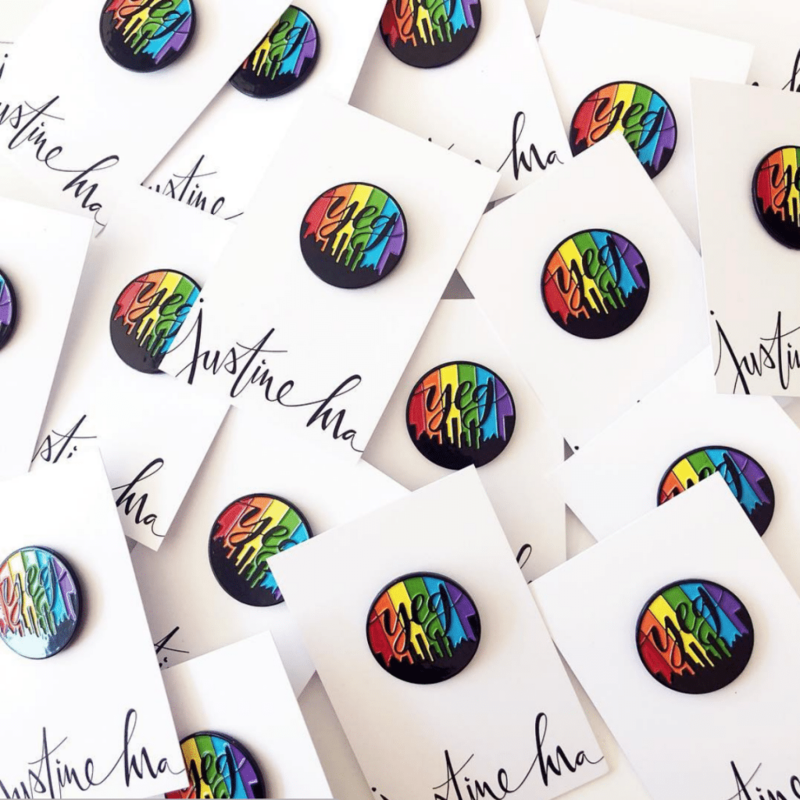 Pride Pins: I love these Edmonton-specific Pride pins by local designer and hand-letterer Justine Ma! I picked up two for my boys (they’ve got big Pride plans together next weekend). You can shop them online here or snag them at Shop Chop (10265 107 Street). Pride Beer: Locally-brewed Alley Kat Beer created a new beer just for Edmonton Pride. ‘Full Squeeze’ is a blend of west coast hops and grapefruit. 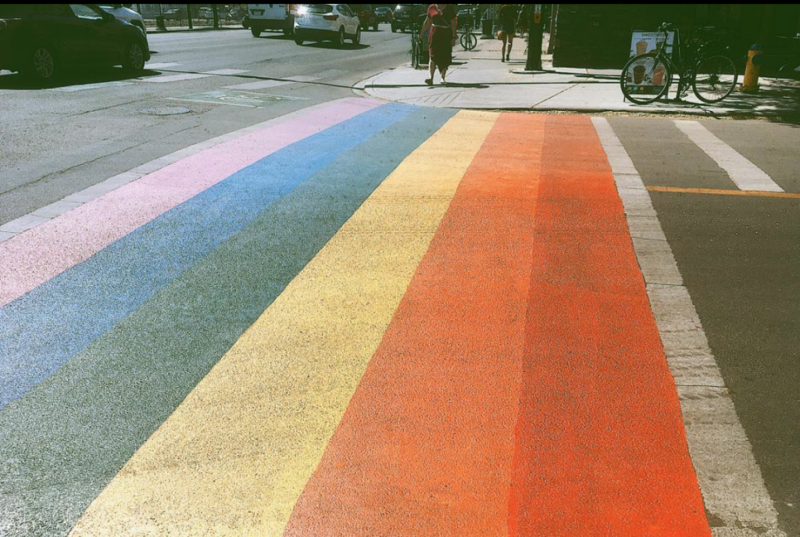 A dollar from each pint and six dollars from each six-pack sold at bars, restaurants, and/or liquor stores will be donated to Edmonton Pride! Find out where you can get it here. Folk Fest passes go on sale tomorrow (Saturday, June 2)! 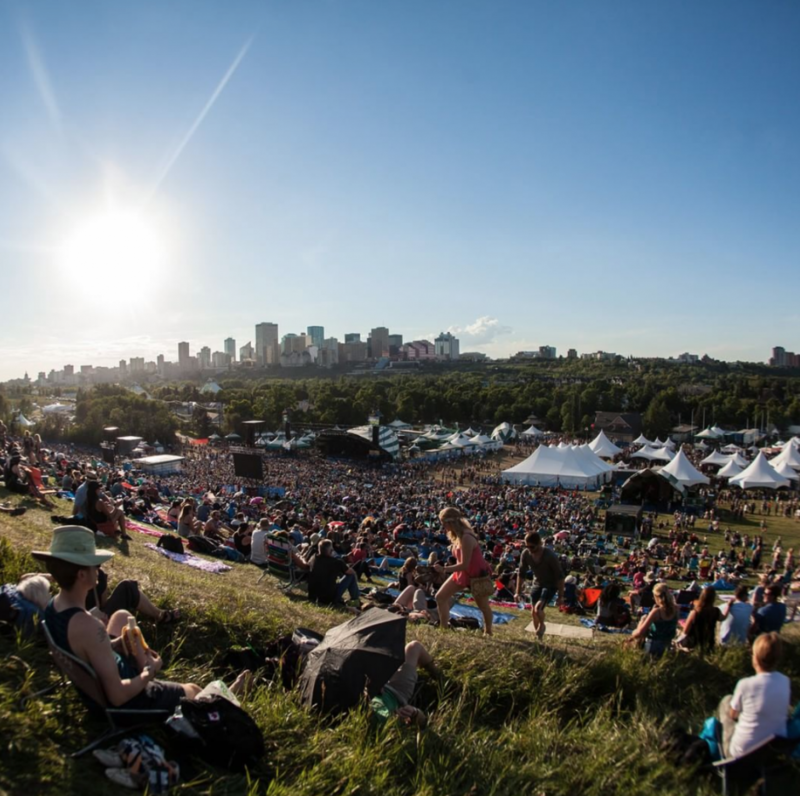 You can buy your tickets in person at the Edmonton Folk Music Festival office (10115 97A Ave) starting at 9 am, or online through Ticketmaster starting at 10 am. Tickets are first come, first served. More here. Edmonton’s most famous festival (or is it?) goes August 9-12 at Gallagher Park. Check out the recently-released performance lineup here. 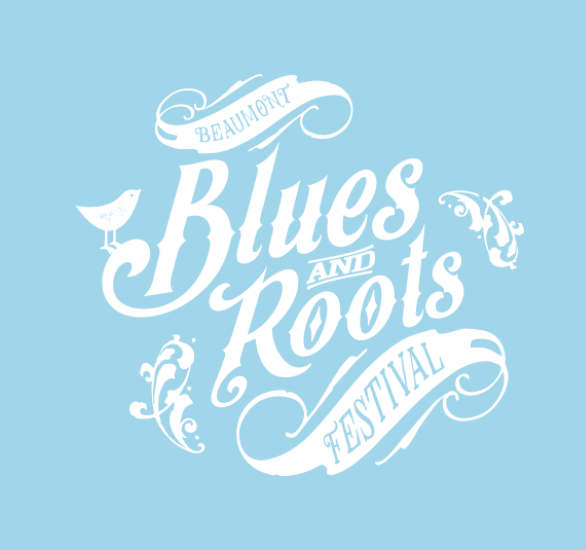 We’re now two weeks away from The Beaumont Blues & Roots Festival! This looks awesome. Serena Ryder and Sam Roberts Band headline the Fest, which runs June 15-17. Get all the details here. As I do every so often here at KariSkelton.com, here’s a recap of what we’ve been up to lately, and what we’ve worn along the way. 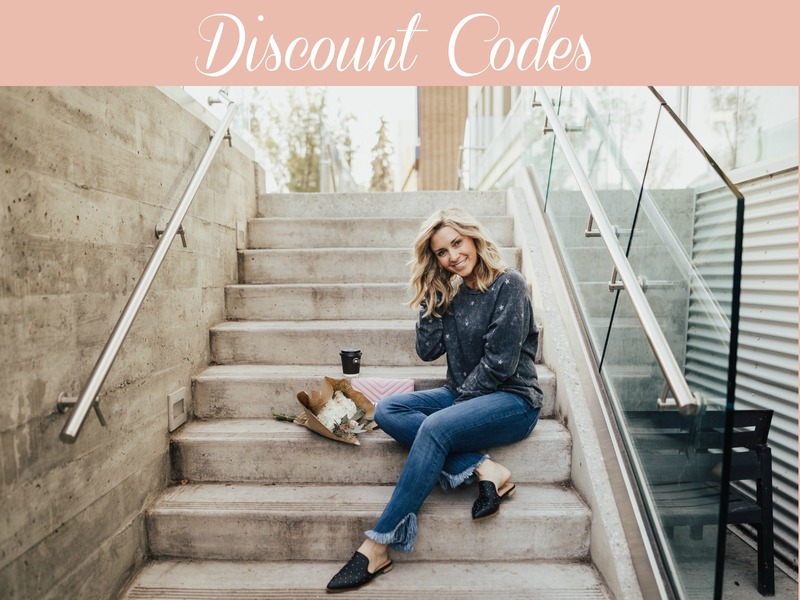 You can shop our looks, and you’ll find two separate discount codes to save you some cash! Click here to read and shop. 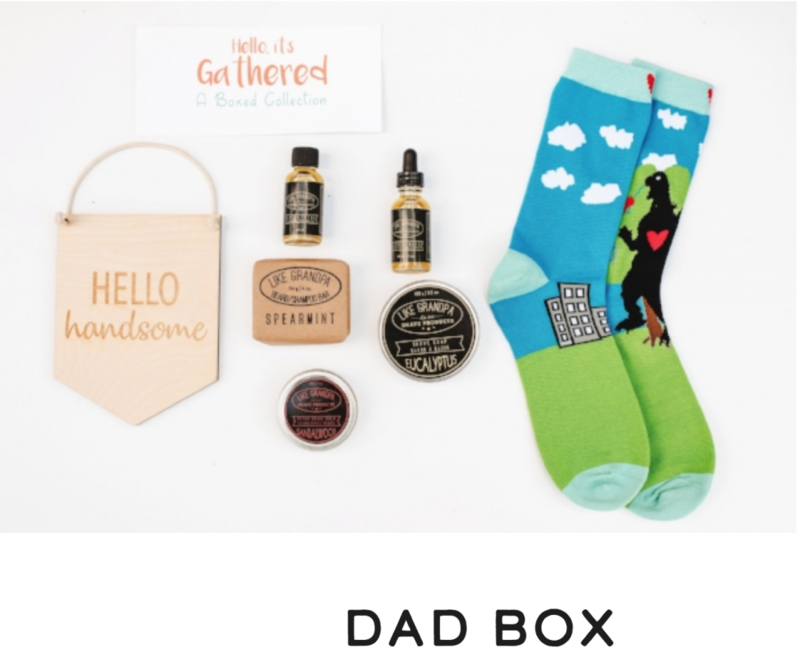 Just in time for Father’s Day, the team at Gathered: A Boxed Collection (an Edmonton-based subscription gift box) has launched The Dad Box! The limited-edition box, worth over $170, features of the best of Edmonton, including a five-piece shaving set, socks and other goodies. The box is $85, but save 15% site-wide by using my code ks15. Shop here! If your kids (or you) are into dinosaurs, schedule this in your calendar right this minute! 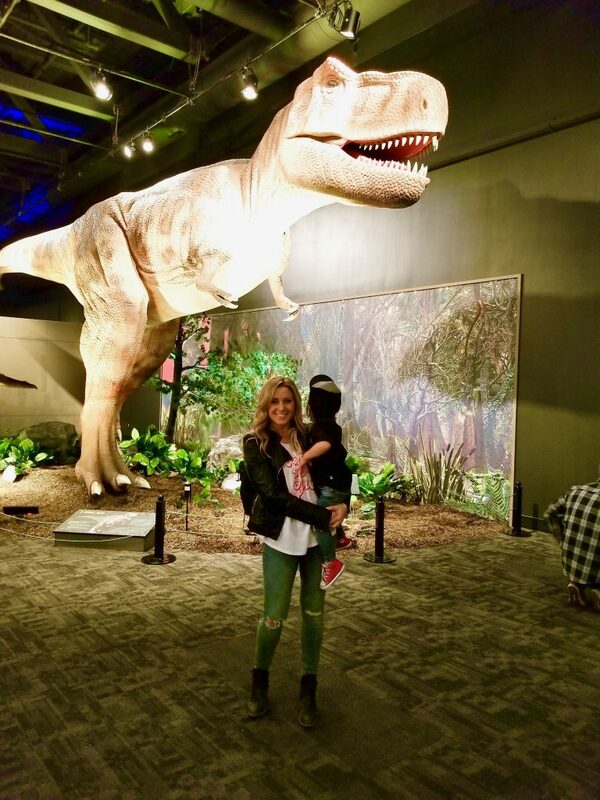 We popped into the brand new dinosaur exhibit at Telus World of Science, which officially opens today (June 1), and it’s SUPER cool. You can explore spectacular prehistoric scenes, watch life-sized animatronic dinosaurs, see full-scale skeletons, participate in a whole bunch of activities, and more! More info here. 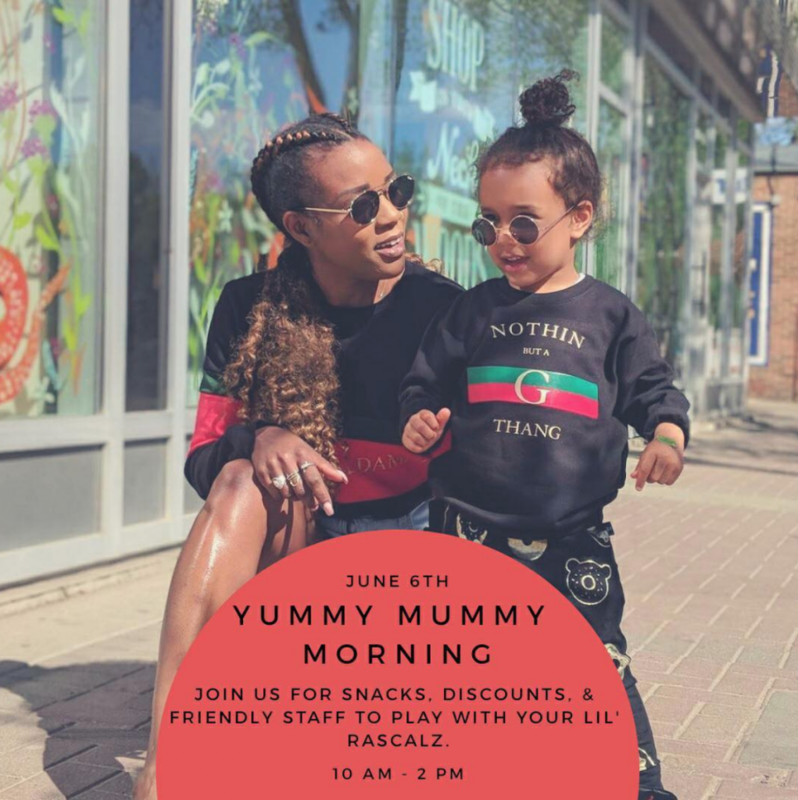 Lil’ Rascalz Shop, a really cool kid’s clothing shop inside Bamboo Ballroom, is hosting another Yummy Mummy morning this Wednesday, June 6. 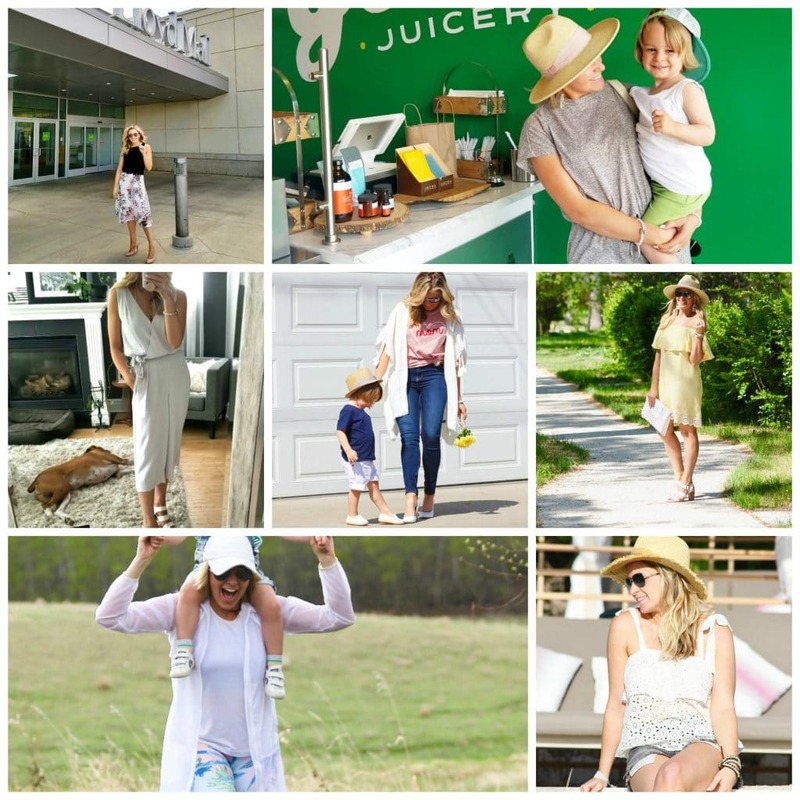 Meet other moms, shop for you and your babe, eat yummy snacks…the rest of the details are in the photo below! Congrats to the team at Duchess Bake Shop on their international television debut! Experts from the celebrated Edmonton bakeshop are competing on France’s popular reality TV show, Le Meilleur patissier-Les Professionels. 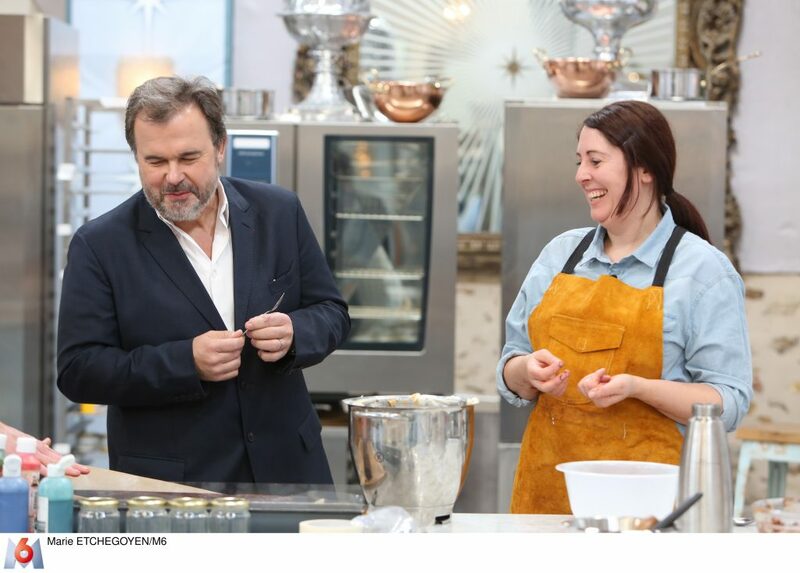 More than three-million viewers tune in weekly to see professional bakers compete for the show’s title of The Best Pastry Professionals. (Nothing wrong with a nice big audience getting a view of what Edmonton has to offer!) Duchess was the only North American team selected to be on the show. Nice work and good luck! If you’re travelling a bunch this summer, or if you’re away for work a lot, you should read this. I’ve shared my awesome road trip workout plan designed by Edmonton-based trainer Carrie Habinski, links to shop fun workout wear from True Activewear (with a 20% discount code), along with my ‘Get Tight’ playlist! Click here to read and shop! 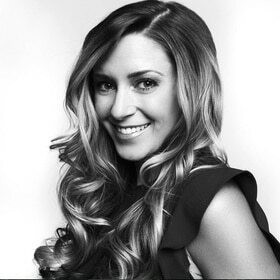 Join me at ‘Get Engaged!’ – A talk I’m giving on building community through your brand on social media and the digital marketing tools I’ve used to help grow my business – KariSkelton.com. Register here. Here’s something a little different to do. 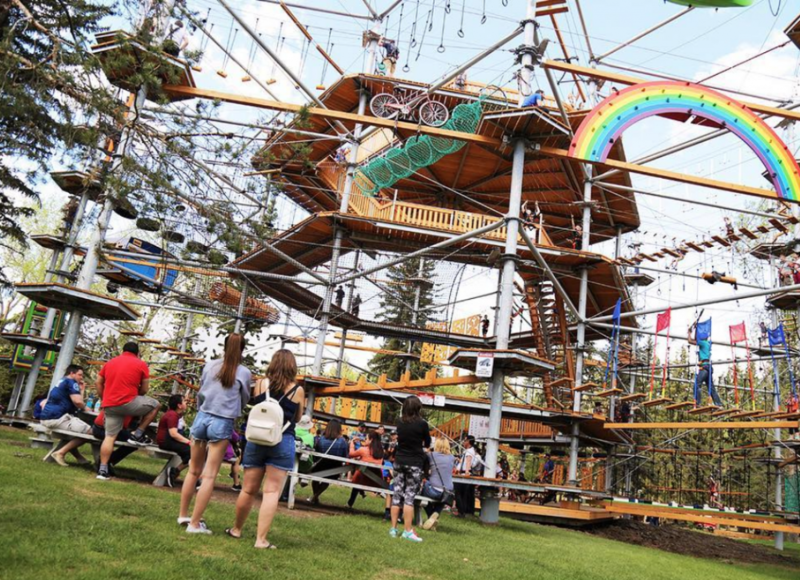 Snow Valley is hosting ‘The Tree Top Patio Party’ on June 8. Limited to the 18+ crowd, the event runs from 6:30-10 at 13204 Rainbow Valley Road. There’s a DJ, BBQ, bubble sports, and inevitable fun in the aerial park. Get tickets and more info here. Wach my Instagram feed and stories on Monday, June 4 for a fun project I’m doing with Londonderry Mall! 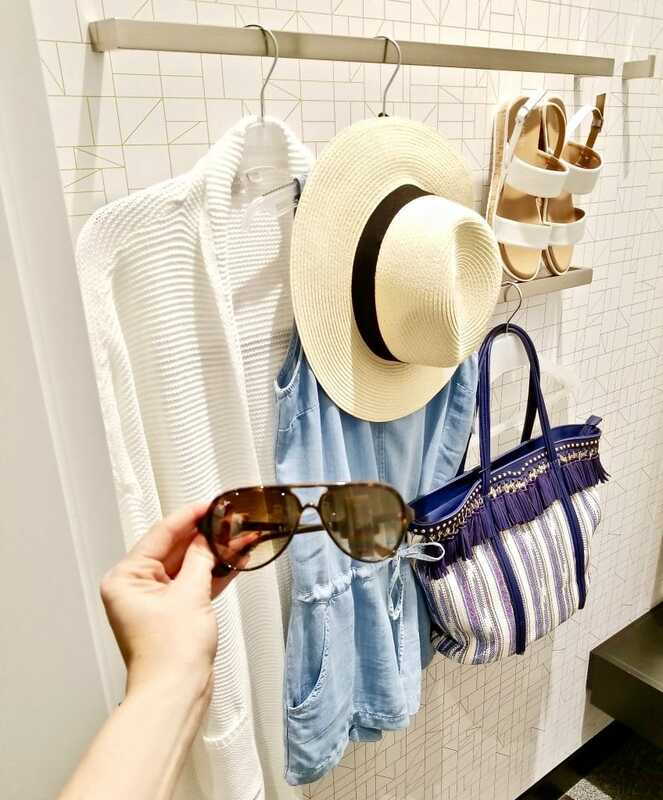 You could win a $100 gift card to shop at Londonderry. Congratulations to the AlbertaMamas.com team on their one-year anniversary! 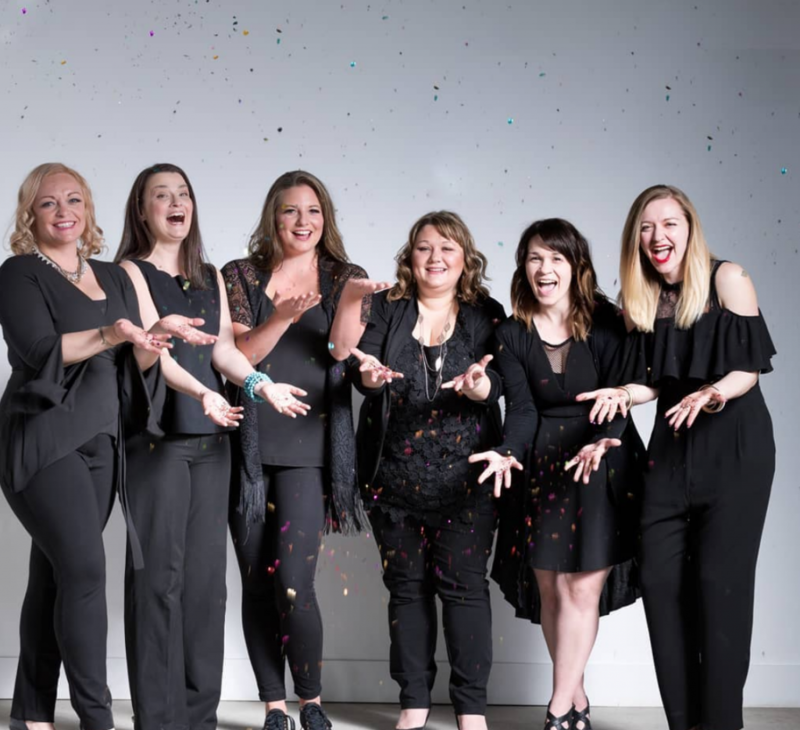 The crew of six is passionate about bringing together parents from across the province. They touch on a range of topics including health, parenting, and adventure. Follow them on Instagram, Facebook, and Twitter. Read last week’s Local Love List. Do you know of any hidden gems, unique events, or cool local product in the Edmonton area that may be a fit for the Local Love List? Please email me!